If you’re looking for a San Jose Airport Car Service, read the info below or call us now at 1.800.380.9788. 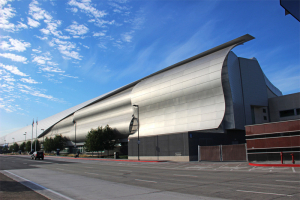 Picture this: You’ve just landed at San Jose International Airport. You’re excited for the convention that you got tickets for months ago. After stepping off the plane you collect your baggage, and walk out into the sunny California morning. All the taxis at the airport are accounted for and already taking their fares elsewhere. You notice the girl you were sitting next to on the plane stride confidently out to a car waiting for her. The driver opens her door and packs her bags. That girl had the right idea! She booked a reservation with our San Jose Airport Car Service. Make a reservation 24 hours in advance and one of our chauffeurs will pick you up any time, day or night. Flying out of San Jose instead? We’ll pick you up when and where you tell us. One of our chauffeurs will pick you up from your home, office, convention center or any other location. 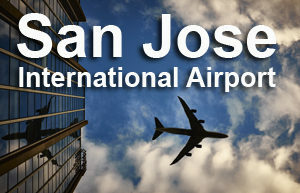 We will get you to the San Jose airport with time to spare at your terminal. Rather than leaving your car in a long-term parking lot for the duration of your trip, let us drive you. Our San Jose Airport Car Service is direct transportation, meaning no more stopping to pick up other passengers that aren’t in your party. With a reservation, you’ll never have to wait. We’ll be there on time. No more worrying about finding a taxi. Our San Jose Airport Car Service will provide a ride in a clean vehicle with a friendly driver for you, your family or your colleagues. It’s a nightmare remembering where you parked after getting off of an international flight. Make a reservation with us and you won’t have to! Use our San Jose Airport Car Service to impress your clients and friends! Whether you are visiting Silicon Valley for friends or family, a business trip for a meeting or a convention, make a reservation 24 hours in advance and a Bay Area Car Service driver will meet you at the airport, help you with your luggage and get you to your destination. Riding in comfort is well worth the price. Need to get somewhere else in the Bay Area or Napa Valley, or just need transportation around San Jose? If you know you will have time to burn before your friends’ wedding and want to see the sights, Our San Jose Car Service offers drivers at an hourly rate. All that’s needed is a reservation! 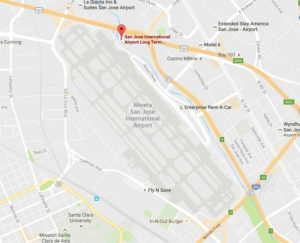 Need to get from San Jose International to San Francisco International or Oakland International for a connecting flight? Our San Jose airport car service can also provide transportation between the airports. Area you a San Jose Sharks fan? Bay Area Car Service will pick you up from any Bay Are airport and take you to the Sharks game in style. Bay Area Car Service’s prices are competitive, rivaling and beating taxis. Don’t be the imaginary traveler missing out on the taxis – be the one who already has a car and driver waiting for you at the airport, ready to whisk you away to your destination. Ready to make a reservation? Call 1.800.380.9788 or San Jose Airport car service here. The number one San Jose Airport car service has you covered.